According to a report in The Wall Street Journal Amazon building up an in-house ad placement platform that will utilize information it has already collected from its customers. The company has taken this move to significantly expand its own online advertising business, challenging Google’s long-held position as the top ad network in the United States. The report also stated that the -house ad placement platform called Amazon Sponsored Links was revealed to possible advertising partners as a test program set to launch in the latter half of 2014. 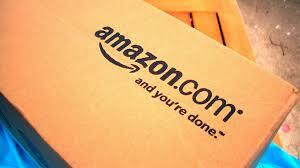 It also emphasized that this new ad platform by Amazon be designed as a direct challenge to Google AdWords. The move could put a major dent in Google’s $50 billion online advertising realm. A preview of Amazon’s aggressive new focus on the advertising space could be seen earlier this month when Amazon ads began popping up on the Washington Post’s website. You may have seen a preview of Amazon’s aggressive new focus on the advertising space earlier this month when Amazon ads began popping up on the Washington Post’s website. Although there are few reports that state that Amazon stands to generate about $1 billion in advertising revenue this year however as per the report by the Wall Street Journal goes, that number could grow exponentially in the coming months.